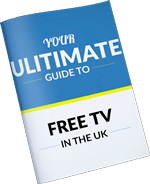 This video shows you how to assemble a Zone 1 45cm mini satellite dish which is used for Sky & Freesat installations in the South of the UK. For installations in the North & Scotland you will need a Zone 2 60cm satellite dish as the signals are weaker in the North of the UK. 1x back of screws, nuts and bolts. This should include 4 small screws and 3 nuts and bolts. Depending on the angle of the satellites in relation to your satellite dish position. Facing the satellite dish from the rear the dish arm will either need to be rotated left or right so the satellite dish arm can be secured into the mounting bracket. 1- Unfold the dish arm, insert through the back reflector and secure in place with the four small screws. 2- Rotate the dish arm into the correct position and secure in place with a nut and a bolt, then tighten with the 10mm spanner.The centre nut and bolt should also be tightened at this time. 3- Insert the elevation locking nut and bolt finger tighten. To allow the 10mm spanner ease of access when the satellite dish is on the wall. This should be installed on the opposite side of the way that the dish arm has been rotated. 4- Apply the LNB holder to the end of the satellite dish. This click’s in position. The plastic grommet should also be inserted through the middle to help secure it in place.